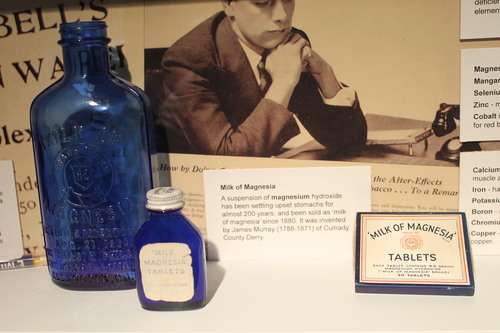 "Milk of Magnesia" is a suspension of magnesium hydroxide that has been settling upset stomachs for almost 200 years. It was invented by James Murray of Culnady County Derry and has been sold since 1880. It is still used as laxative and antacid. 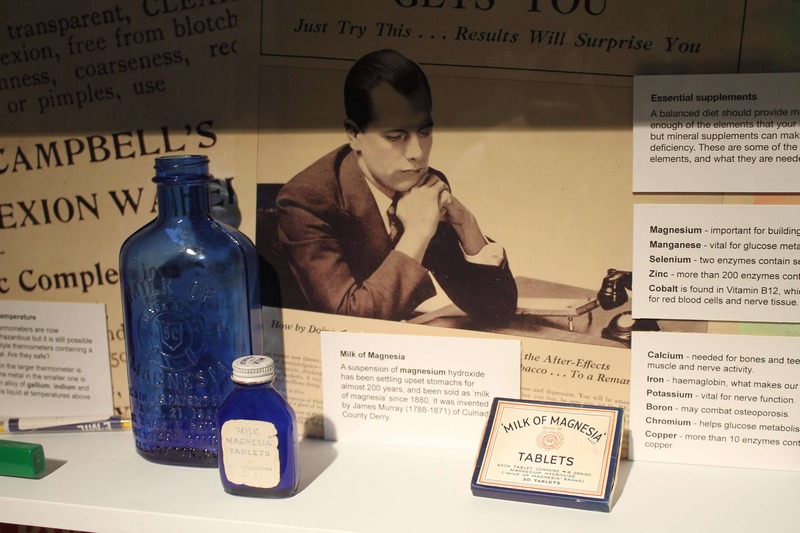 These pharmaceutical preparations are exposed in the Ulster Museum, Belfast.